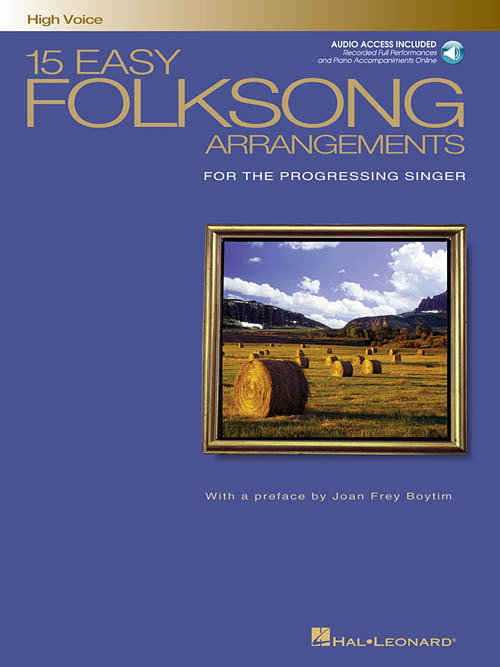 This collection is designed for those students, of any age beyond early teens, in the early stages of voice study, although the arrangements are so satisfying that more advanced singers will also enjoy them. The ranges are modest, and songs have been chosen for both genders. The new arrangements are lovely, fresh and interesting, but keep the simple vocal line in the forefront. The piano accompaniments were deliberately designed for an intermediate level player. The CD includes beautiful performances of each song by professional singers to be used as a learning tool, and a piano accompaniment track for practice. Joan Boytim, the leading American expert on teaching the young voice, has added a preface about how to use these songs in the studio.